After weeks of fruitlessly flogging the dead horse of a dreadful withdrawal agreement, you’d think the prime minister would want to avoid crashing out of the EU with nothing to show for her efforts. Yet she’s so weak, so fearful of the 100-plus MPs from her own party who want rid of her that she’s repeatedly failed to rule out a no-deal Brexit. And that’s even after suffering the acute embarrassment of the largest government defeat in parliamentary history. The truth is a no-deal Brexit is not a fresh start or a clean break. It’s a looming economic and societal catastrophe that threatens stability by severing ties with our closest trading partner. In the absence of a crystal ball, no one can estimate accurately the likely damage to jobs and wages – though business leaders think they’ve a pretty good idea. 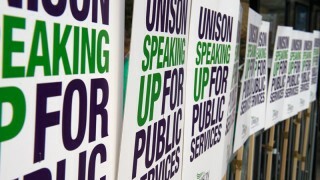 Public services, already at breaking point after a decade of cuts, will struggle to survive. The UK economy still hasn’t fully recovered from the crash, and neither have our public services. Yet the Tory Brextremists are calling (whether they’re prepared to admit it or not) for further economic devastation. These aren’t the actions of those who care about our country or its people. They don’t fear the consequences of a no-deal Brexit because they won’t suffer them. Public sector employees – the care worker, the teaching assistant and the nurse – won’t be as lucky. 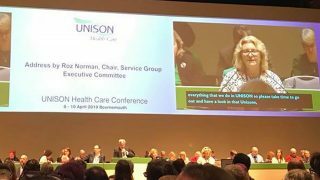 Unison has been clear from the outset: the best, swiftest and longest-lasting solution for public services, and those who provide them, is a general election. It’s how to protect public services, jobs and wages, because the end of this calamitous government can’t come soon enough. Jeremy Corbyn was right to call a vote of no confidence last week. To fail to challenge the government’s authority after such an epic defeat would have been a missed opportunity. Yet it’s also clear that DUP support means that the chances of forcing an election any time soon are receding. Other options now have to come into play. Many years of negotiating for working people has shown me that, even in the most intractable of situations, there can be areas of agreement. The beginnings of a solution that could command support in parliament – and begin to unite and heal our divided country – are out there. But the most precious commodity for any successful negotiation is time. The PM has pushed us dangerously close to the exit door with perilously little left on the clock. So it’s vital that immediate steps be taken to extend article 50. Not to stop Brexit, but to ensure that there’s time to force a change of government, or find a solution parliament can back. A customs union would minimise the risk of a hard border in Northern Ireland, avoiding putting decades of hard-won peace at risk and dividing communities needlessly. It would also mean goods could continue to pass between the UK and the EU without a battery of new checks and tariffs – so the very real concerns about shortages of food, medicine and energy could be put to bed. A Norway-like deal, allowing the UK to participate in the single market, would further minimise the risk to our fragile economy and to employment rights. Sending the final deal back to the people, if other avenues fail, must remain an option, too. No negotiator should ever rule anything out in the desire to avoid catastrophe. It’s all too easy to fall into a counsel of despair over Brexit. Repeated mistakes by Theresa May and David Cameron mean that there are no painless choices left, but there are still options to bring the country back together. At a time when the far right is on the rise and politicians are viewed with disillusionment and cynicism, it’s vital that the best possible remaining options be pursued, and quickly. There has to be a way to spare the pain of a no-deal catastrophe. This piece was originally published in The Observer.